Ok…so I know this is a series of posts about wine but do we really need to know about the vine? Sure it’s what gives birth to the grapes and carefully nurtures them through their brief life, but is understanding the vine really important to understanding how a wine will taste or age? You betcha it is. Assuming a winemaker planted the right kind of grapes in the correct location, the vine now becomes paramount because without carefully tended vines, getting good wine grapes is virtually impossible. The vines are the genesis of the grapes and how they are tended, or in some cases neglected has a profound influence on the character of the wine. FYI for those of us in the wine world, we like to think that the wine grape is the most important form of grapes but roughly 80 percent of all grape vines produce table or drying grapes….kinda humbling when you think about it. Maybe there’s an industry waiting to emerge. Imagine row after row not of wineries but “Raisinries”, purveying there carefully crafted…naw, I can’t even finish the sentence. It’s just too absurd. Wine grape vines are unlike most other commercially cultivated crops where water, fertilizer, sun and soil are all optimized to give the highest yield possible. The goal of higher end wine grape growers is not to produce the most fruit but to produce the best fruit and to do that, the vine needs to struggle a little. Fruit produced from vines that are constantly irrigated and fertilized, produce lots of nondescript grapes. A grapevine can only produce a finite amount of nutrients. More water and fertilizer means more grapes, not better grapes. In areas where conditions are “too” ideal, many vineyard managers will drop as much as half of the fruit early in the growing season to ensure that the remaining fruit is higher quality by getting the nutrients they need. The difference between lots of fruit and high quality fruit is like the difference between eating bland tofu (not just any tofu mind you, the really bland stuff that tastes like wallpaper paste) and a big, juicy porterhouse steak. 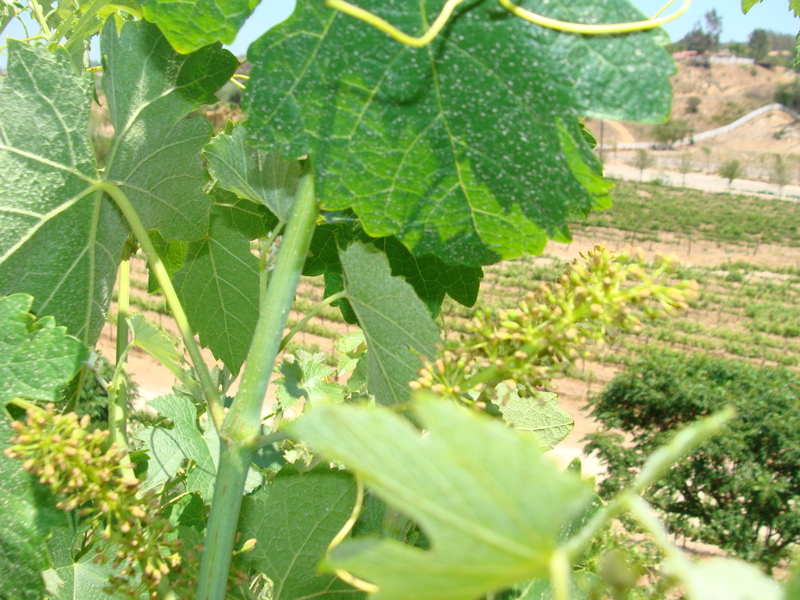 The characteristics of the vine have a huge effect on the flavor of the wine. Two of the tools that are frequently used by wine makers are dry farming and the use of old vines. These will be called out on the wine label. Not surprisingly, the wine labeled “Dry Farmed” uses little or no irrigation… Dry farmed vines produce much smaller numbers of fruit and typically smaller, more intense berries which make more intense wines. This is strictly a choice by the vineyard manager. Old vines also produce more intense fruit, not because of a deprivation of moisture but because the vines tend to be less efficient at conveying the nutrients to the fruit. Of the two, old vine wines are more common. The vast majority of our wine culture has old world origins but in a rare twist of fate, a new world pest virtually destroyed the European wine industry in the mid 1800’s when a North American pest called Phylloxera was accidentally introduced. It’s a very small, nasty little insect that attacks the roots of grape vines. Within fifteen years, European wine production fell by over 70% in some areas, but just as the new world was the root cause of the problem (pun intended by the way), so it became the salvation. Most North American grapes varieties have a natural resistance to Phylloxera. However, wines made from these grapes are generally horrific although in ideal circumstances they can rise to revolting, abysmal or at their best just unappealing. Wine quality aside, the Phylloxera resistant new world rootstock ultimately saved the European wine industry by allowing winemakers to graft better quality vines onto the Phylloxera resistant root stock. The modern vine, with the new and old world parts fused together parallels the global wine industry today. Old world vines and traditions coupled with newer techniques developed all over the world have produced a vast array of quality yet affordable wines like the world has never seen.